During Wednesday’s financial results conference call, Apple COO Tim Cook refused to comment on iPhone competitors—specifically, in that case, about the Palm Pre—by saying that it was hard to talk about products that haven’t shipped. But what of the main iPhone rival that has shipped, the T-Mobile G1 ( )? As it happens, buried inside its own financial results on Thursday, T-Mobile said that it had sold 1 million of the devices in the U.S. since the G1’s launch in October 2008. Reaching 1 million units in six months isn’t terrible, but in comparison to the iPhone, it doesn’t stack up that well. Let's take a look. It’s hard to know exactly how many iPhones Apple sold in the U.S. during the same period, since the company doesn’t explicitly break out that number. For example, we do know Apple sold 8.12 million iPhones in the last two quarters, but that number includes all the countries in which the iPhone is available, which currently stands at 81. Looking at numbers from Apple’s U.S. partner, AT&T, we see that the wireless provider activated 3.5 million iPhones in the last two quarters. That’s probably a little beneath the number of total phones sold in the U.S.—4 million probably isn’t an unreasonable figure. That gives the iPhone roughly four times as many sales in the same period. Ah ha, you might say, but the G1 just launched last October while the iPhone’s been on the market for almost two years now. How well did the iPhone do in its first six months? Pretty well actually: Apple announced its millionth iPhone sold on September 10, 2007, just 74 days after the device’s launch. In the first two quarters of the original iPhone’s availability, Apple sold about 3.704 million iPhones (that does, however, include a month or two of sales in the U.K., Germany, and France, though by most accounts, around 3 million U.S. sales is probably still a safe figure). 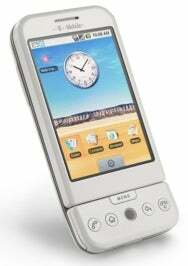 The G1, then, has not seen the same rapid success as the iPhone, despite comparable pricing and a similar featureset. So it seems consumers aren’t flocking to the device like they are to the iPhone, whatever the reason. From a purely anecdotal standpoint, I know I’ve seen far fewer G1s in the wild than I have iPhones. But the G1 is only the first phone to run Google's Android OS, and the software itself is due for a major update in the near future, so the book is hardly shut yet. Will the Palm Pre have better luck when it finally appears? We concur with Mr. Cook on that one: we won’t know until it ships.